Hedge fund titan Bill Ackman, who has been in the spotlight lately for his big Herbalife short, is putting on a hedge fund conference in the coming weeks.On February 13, Ackman, the CEO of $12 billion Pershing Square Capital Management, and Mark Axelowitz, managing director from UBS Private Wealth Management, will co-host the 2013 Harbor Investment Conference at the JPMorgan Chase Conference centre in Midtown Manhattan. The annual event brings together some of the industry’s top investors to share trade ideas, while raising money for the Boys & Girl’s Harbor. It’s unclear what Ackman will be talking about or what investment pick he might present, but he will be making himself available for a Q&A session with the audience and that could get really interesting. In addition to Ackman, the other speakers this year include, Andrew Feldstein (BlueMountain Capital), Mick McGuire (Marcato Capital Management), Howard Shainker (Bow Street), Mona Sutphen (Managing Director of UBS AG and former White House Deputy Chief of Staff for Policy) and David Weinreb (CEO of The Howard Hughes Corporation). Business Insider will be there covering the event. In the meantime, let’s review how last year’s investment picks did. These ideas were shared on February 2, 2012. Some were before the closing bell and others were given after the bell that day. They were all embargoed from the public until after the closing bell on February 3. For this report, we used data from Yahoo! Finance and tracked the stock’s performance from February 3 through January 30, 2013. Catherine Wood (CIO of Thematic Portfolios at AllianceBernstein): Her Fusion-io (FIO) pick is down 9.8% while her Tesla Motors (TSLA) pick is up 21.45% and her Genomic Health (GHDX) pick is down 4.26%. Stephen Raneri (LionEye Capial): His DST Systems (DST) pick is up 26.16%. Howard Shainker (Bow Street): Rentech (RTK) is up 65.57% and Rentech Nitrogen (RNF) is up 92.64%. William Danoff (Portfolio Manager, Fidelity Contrafund): His Noble Drilling (NBL) pick is up 5.12%. Bill Ackman: His JCPenney (JCP) investment pick is down 49.76%. His other picks did much better, though. 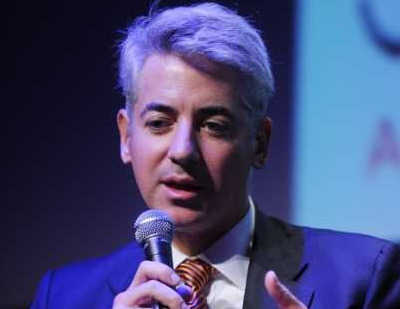 Ackman recommended buying Howard Hughes (HHC), which is up 40.65%. He also recommended Justice Holdings, a cash shell company that traded on LSE with the ticker “JUSH.” It’s now Burger King. The closing price of Justice on Feb. 3, 2012 was $13.89. Burger King World closed at $17.81 yesterday, so that’s up 28.2%. **BONUS** Boaz Weinstein (Saba Capital): He recommended buying the Investment Grade Series 9 10-Year Index CDS (maturing on 12/20/2017), which is the same security the JPMorgan CIO desk was short as part of the “London Whale” trade. Now let’s do some simple maths for a bit. Let’s say these 10 stock picks make up a portfolio. If we take the stocks and have them all equally weighted, the performance of this portfolio would be approximately 21.59%, according to our calculations. For comparison, the S&P is up 13.31% since February 3, 2012. Meanwhile, the Barclays Long/Short hedge fund index was 6.32% YTD through December 2012. The January numbers were not available at the time of this report.